In this issue: Martian dreams, magical carousels, zombie plagues, planetary flatulence—and a bundle of George R.R. Martin novellas. When magic meets mundane, sparks fly: these are exciting times in Archers Beach, Maine. An unprecedented early season has united townies and carnies in an effort to recapture the town's former glory. Kate Archer, owner-operator of the vintage wooden carousel, is caught up in the excitement. But the town's new energy isn't the only change afoot. A local drug lord, whose previous magical consultant was vanquished by Kate, has acquired a new ally—and this one plays with fire. Sequel to Carousel Tides. When you are stranded on a planet hostile to human life, sometimes the only thing that can rescue the situation is a sense of humor. And if even that is not enought, then at least there’s the chance you’ll die laughing. Multiple award winner and SF master Ben Bova’s new novel, Mars, Inc. debuts in December. In this tribute by author David Drake to his friend, the great fantasist and SF writer Manly Wade Wellman, a young man seeks the ultimate secret of creative success from a former professor who may hold the key to literary bestsellerdom, eternal damnation—or both. 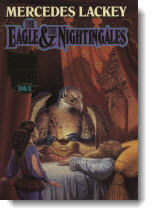 David Drake is the creator of the RCN and Hammer’s Slammers science fiction series, as well as a new collection of dark fantasy, horror, and alternate history tales, Night and Demons. The road to manned travel to Mars is paved with good intentions, ambition, and maybe a touch of madness—but is it possible, and what will be the cost? Meet the humans who believe that manned space exploration is not only preferable to a machine-only approached, but that manned settlement of other worlds may be necessary for the survival of the our species. We continue a multipart series on training for war by retired Army colonel Tom Kratman, creator of the popular Carrera military science fiction series, with latest entry Come and Take Them. Kratman’s contention: an army is for winning wars. And to win wars, you have to train men (and some women) to be warriors, not police or social workers. 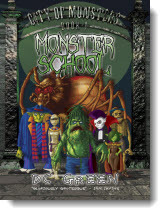 We continue our popular series of teacher’s guides for Baen books that might be appropriate for high school or college classroom reading. These includes synopses, discussion questions, quizzes, and more. Treecat Wars is the third entry in David Weber and Jane Lindskold’s Star Kingdom teen and young adult series featuring Honor Harrington ancestor, Stephanie Harrington. 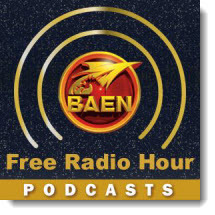 Also available are Baen Teacher’s Guides for series opener A Beautiful Friendship, and its sequel Fire Season. With human civilization annihilated by a biological zombie plague, a rag‑tag fleet of yachts and freighters known as Wolf Squadron must take on another massive challenge: clear the assault carrier USS Iwo Jima of infected and began to take the world back from the infected. The sequel to Under a Graveyard Sky. A modern West Virginia town of Grantville is thrown back in time to 1632 Europe in the midst of the Thirty Years War. If they can adapt, freedom may ring out across Europe three centuries early. 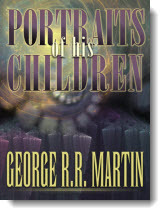 Now in fine leatherbound edition: the novel that began the best-selling alternate history series of all time. Kate Archer, owner-operator of a vintage wooden carousel, is caught up in the excitement of the early season at Archer Beach, Maine. But now a local drug lord, whose previous magical consultant was vanquished by Kate, has acquired a new ally—and this one plays with fire. 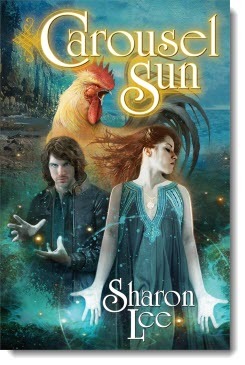 Sequel to Carousel Tides. Prince Roger MacClintock: third in line for the Throne of Man—and a spoiled, self-centered brat. 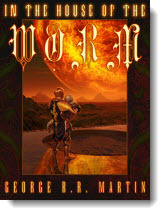 Then warships shoot his crippled vessel out of space and Roger is shipwrecked on the rugged, war-torn planet Marduk. Fortunately, Roger has Bravo Company of Bronze Battalion of The Empress' Own Regiment to aid him, and teach him a lesson in leading. Contains March Upcountry and March to the Stars together in one volume. On a near future Earth, Good Man does not mean "good" at all, but a dictator with ties to Earth's dark history of eugenics. Now a revolutionary group known as the Sons of Liberty may prove to be a renegade Good Man’s only ally in a fight to throw off an evil from the past that has enslaved humanity for generations. Sequel to Darkship Renegades. Sasha Naradnyo is a gangster on a planet where humans are most definitely second class citizens. Now Sasha’s simple choice to save alien children has thrust him into the midst of a battle that could remake the galactic balance of power and save humanity from slow death by servitude. Why is the High King of the Human kingdoms not doing his job and allowing the Church to fill the power vacuum? This is a matter of some concern to Nightingale and her friends: the church has become overtly hostile to non-human sentients. To discover just what is going on, she will join forces with T’fyrr, a birdman with the visage of a raptor, and become if not quite lovers then far more than friends. The dragon, breathing fire and darkening the sky with its huge batlike wings, fearsome yet fascinating, touches something deep in the human soul. Tales of the fabulous reptiles by Mike Resnick, Diane Duane, Jodi Lynn Nye, S.M. Stirling, William R. Forstchen and others. A classic collection of science fiction and science fact finally in ebook form! With interplanetary space exploration by private concerns heating up, this comprehensive compendium of facts and stories involving solar sail technology is as relevant as ever. 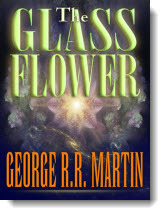 Edited by the awesome pair of David Brin and Arthur C. Clarke. James Alan Gardner’s rollicking, scientifically-astute League of Peoples adventures set a new bar for humorous science fiction. Here is the complete series to date! In the 25th century, under the leadership of the League of Peoples, war and crime are a thing of the past and life is held sacred. That is, as long as you're healthy and beautiful. But those who are deformed, flawed or misfit in any way must become Explorers, crews assigned to probe worlds so hostile, the chances of returning are somewhere between slim and none. A nuclear weapon is buried in the Antarctic ice by terrorists. Now a team of SEALs, an FBI agent, and a climatologist must defuse it before man-made global warming takes on a whole new meaning. In 19th Century America, railroad hand Johnny and best friend Joko are on the run—and Joko has a price on his head. For Joko is Sasquatch, one of the last surviving members of the legendary and elusive Bigfoot race. Jupiter’s Reef: Something is stirring beneath Jupiter’s Great Eye, and miner Alex Rose is determined to find out what at any cost, even his life. Farthest Reef: Biologist Alex Rose and his wife’s peaceful existence on Ganymede is shatter by the chance to travel to another star. Infinite Reef: After a harrowing mission the space ark Goddard must now return to bring the news of their discoveries to Earth. When they arrive ... if they arrive ... will everything be changed beyond recognition? 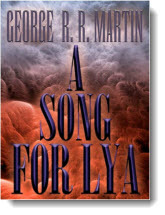 Game of Thrones is only part of an enormous, award-winning body of work by legendary SF author George R.R. Martin. Here are five award-winning, groundbreaking stories a master of fantasy and science fiction. Two telepaths investigate the newly discovered world of Shkea, where every native inhabitant, and an increasing number of human colonists, worships a mysterious and deadly parasite. 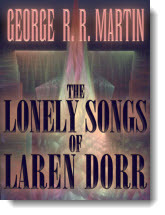 Winner of the 1975 Hugo Award for Best Novella. Richard Cantling didn't regret the sacrifices he had made for his work, but he had expected his daughter to forgive and forget. When the painting arrives, it seems a gesture of reconciliation— until he's brought face to face with another of his offspring, one he never planned to meet. 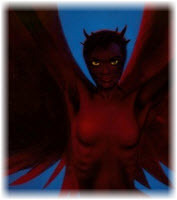 Winner of 1986 Nebula Award for Best Novelette. In a crumbling underground city on a dying planet, young Annelyn has lived a life of privilege. But when a plot for revenge goes desperately awry, Annelyn is led him deep into the city's ruins—and to the ugly truth about his forebears' reverence for the mythic White Worm. It's been a lifetime and more since Cyrain has been challenged in the game of mind. When the cyborg arrives, she senses a worthy and dangerous opponent—one that's been dead for 800 years. The curtain’s rustling on the stage in Bravado’s House of Blues. Behind it, fourteen tales from award-winning author J.A. Pitts wait for their time to shine beneath the lights. Here, you’ll find Roman legions battling druids, G.I.s facing down zombies in Vietnam, and blacksmiths discovering destiny in re-forged blades of old. 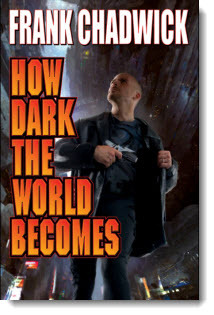 Plus fans of Pitts’ Sarah Beauhall books will find three stories connected to his award-winning urban fantasy series. A collection of 18 SF/F holiday tales by Kevin J. Anderson, Larry Correia, David Farland, Jerry Oltion, Kristine Kathryn Rusch, and others. A standalone case featuring the popular Dan Shamble, Zombie P.I. When Santa Claus hires Dan Shamble to track down the theft of his Naughty & Nice list, the eggnog hits the fan in the Unnatural Quarter. A never-before-published Cold War thriller by Frank Herbert: a journalist tries to track down a missing famous author in Mexico and finds himself embroiled in a dangerous Communist plot. A Frank Herbert classic SF novel; alien observers have watched Earth for centuries, amused by our horrific activities. But when they grow bored, they create disasters of their own. 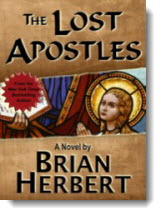 A Da Vinci Code-style thriller by international bestseller Brian Herbert. When a rebellious teenage girl is kidnapped by a secret sect and whisked off to a hidden Greek monastery, she learns of an ages-old coverup and hidden Biblical texts that prove Jesus actually had 24 apostles—twelve women as well as twelve men. 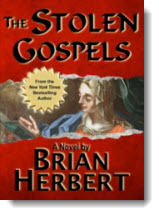 Stolen Gospels Book Two. In the tradition of the Da Vinci Code. Long ago, the ancient gospels of Jesus’s female apostles were stolen by powerful churchmen and relegated to the rubbish heaps of history. But those apostles have been reborn as female children, and are dictating new gospels that will be incorporated into a radical new religious text. Unless the orthodox Church hierarchy crushes them first. Books 3 and 4 of The Jellindel Chronicles. Dragonsight: Three mercenaries with poison coursing through their veins have only six weeks to find a stolen dragon relic. 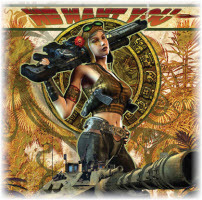 Wardragon: Jelindel, with her allies, Zimak and Daretor, track the alien mailshirt across two radically different worlds. Now the final showdown looms, with existence itself in the balance. In a galaxy of cutthroat companies, spy agency RIM barely wields enough control to keep order. 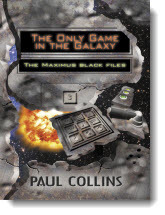 Now Maximus Black, RIM’s star cadet, must ferret out a mole in the organization. Maximus Black Chronicles Book 3. Beware! You are entering The City of Monsters. All tourists will be eaten. Have a nice day! Sparkling stories in a wild and magical vein. City of Monsters Book 1. Tark and Zyra finally make it out of the Game into the real world, only to discover how the Game is really operated — with dozens of kidnapped children wired directly into the mainframe, their brains keeping the whole thing going. Time for a revolution! 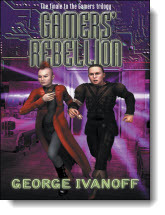 Book Three of the Gamers Trilogy. 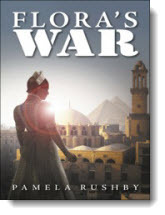 In 1915 sixteen-year-old Flora Wentworth’s comfortable life is turned upside down when a hospital visit to Cairo thrusts her into the realities of World War I. She is soon transporting injured soldiers and helping out exhausted nurses – managing to fall in love along the way.